What do industrial and systems engineers do? Industrial engineering is the “people person’s” engineering. It combines the physical and social sciences together with the principles of engineering to optimize processes and systems. It’s simple. Industrial engineers figure out how to do things better. They improve quality and productivity and they cut waste like time, materials, money and energy. Discover more by going to our What is Industrial Engineering? Page. Can I get a job in industrial engineering when I graduate? Industrial engineering is expected to have continued employment growth over the next decade, faster than the average for all occupations. Over 95 percent of our students have a job at graduation. Many of them having found one BEFORE the start of their final semester. At our College of Engineering Career Fair, over one-third of the 300+ companies are looking for industrial engineers. Discover more by going to our Careers in Industrial Engineering Page. What industries hire industrial engineers? Industrial engineers are pushing the boundaries into new fields every day. These include nanomanufacturing, advanced manufacturing, 3D printing and biomedical manufacturing. It also covers service industries, entertainment industries, shipping and logistics businesses, and healthcare organizations. Industrial engineers have the luxury not to specialize. They can keep their options open. This makes them immune to the ups and downs of any individual industry. What courses must high school students complete to be eligible for freshman admission? Freshman applicants currently attending high school in the United States must satisfy the UNC-System Minimum Course Requirements (MCR). Can I get credit at NC State for AP, IB, or dual-enrollment courses? All AP and IB score reports must be sent to NC State directly from the testing agency. They won’t accept scores reported from other sources and won’t transfer course credit for AP scores awarded by other schools. Dual-Enrollment Courses: Search the Transferable Credit Database to see which other institution’s course credits will transfer to NC State. What requirements are needed to transfer to NC State? How do I send my transcript(s) to NC State? It is your responsibility to request your official transcripts be sent to NC State. Through The Common Application, you notify your high school counselor to issue a transcript to NC State. Transfer applicants need to contact all previous colleges to have official transcripts mailed or sent electronically to NC State. NC State is unable to accept transcripts via fax or email. What are the undergraduate admissions deadlines? Submit your complete application by the deadline in order to receive a decision on the corresponding notification date. Decisions for international applicants are posted as applications are completed and reviewed. The application fee for undergraduate admission is $80 for U.S. citizens and permanent residents, $100 for international students. It must be paid online though The Common Application website. You can use MasterCard, Visa, Discover, American Express, and online check payment. How can I update or change my application I have already submitted for undergraduate admissions? Then clicking on "Change Contact Info" and follow the instructions. Update your email address: Your email address is tied to your username in wolfPAW. Please contact the office at undergraduate-admissions@ncsu.edu to request email address updates. Applying for another semester or year: So you have already received an admission decision. But now, you want to be reconsidered for a later semester in the same calendar year. That’s okay, just submit a new application through the Common App. Updating or changing other information on your application must be submitted in writing to undergraduate-admissions@ncsu.edu. Remember to reference your full name and date of birth so they can match your request with the correct application. I have recently been accepted. What do I do next? For the answers to more admissions questions, go to NC State’s Student Services Knowledge Base. Complete the FAFSA® (Free Application for Federal Student Aid) at https://fafsa.gov/. Completing and submitting the FAFSA is free and quick. See NC State’s NC State’s Applying for Aid page for more details. Can I get an estimate of the aid I may receive? The Net Price Calculator on NC State’s website can help you estimate your financial aid and out-of-pocket expenses. I submitted my FAFSA. How do I know if you need anything else from me? If additional information is required, you will receive a letter from this office. Follow up requests are done by email. You may also check online by logging into MyPack Portal and navigating to your financial aid page. How will I know if I’ve been awarded financial aid and when should I expect to be notified? 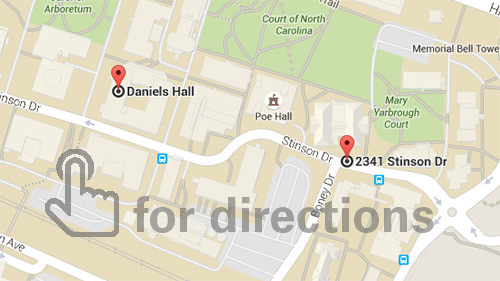 You are notified by email sent to your NC State email address. Awards may also be viewed on MyPack Portal in the My Financial Aid section. So you have submitted the FAFSA and other requested documentation by March 1. Then you should expect to receive an award decision the first week of April. How do I apply for merit scholarships? The Office of Scholarships and Financial Aid award scholarships. Each of the ten colleges within NC State University award them as well. All students who apply for admission by November 1 will automatically be considered for merit scholarships. To learn about specific scholarship programs and college based awards, please go to NC State’s Scholarships page. How do I apply for need-based scholarships? To be considered for need-based scholarships, you must apply for admission by November 1 and financial aid by March 1. For financial aid, you must submit the Free Application for Federal Student Aid (FAFSA). For answers to more financial aid and scholarships questions, go to NC State’s Student Services Knowledge Base. What resources are available to me as a Parent/guardian? The Office of Parents & Families Services has a wide range of programs and services available to parents. Please visit NC State’s parents’ website for year-round programs and services for NC State families. How are students notified of their tuition statement and Financial Aid? The Cashier’s Office sends billing notifications to every student’s university email address. Please have your student check his/her university email account as often as possible to keep up with any notification. Also, you may want to have your student grant you parental access to view his/her financial records through the MyPack Portal. As a parent, how do I receive emergency notifications from the University? In the event of an emergency, the Office of Parents & Families Services will send a notification to all parents. Please make sure your most current cell phone number is listed in your record available in MyPack Portal. How do I gain access to MyPack Portal as a Parent/Guardian? In compliance with FERPA, students must initiate and assign Parent/Guardian Access through MyPack Portal,the online student services system. This access gives the parent/guardian the ability to view student information online, which includes transcript and billing information. Click the “Add Relationship” button. Then enter the name, email address, and relationship of the person you want to grant access to your records. Click “Create Parent Access” button, then read and accept the Informed Consent information. Indicate which records should be released. To access information over the phone: Access transcript information by calling Registration and Records at 919.515.2572. Where can student find part-time employment on campus? There is no centralized office on campus to look for part-time employment. You can contact departments/offices across campus to find out if they are hiring. If you have financial aid, have you visit the Scholarships & Financial Aid website or check with your Financial Aid counselor. For the answers to more parents and families questions, go to NC State’s Student Services Knowledge Base. How many students attend NC State? As of Fall 2015 semester, NC State University had 34,015 undergraduate and graduate students. For a detailed look at the most current information regarding NC State and its student body, check out the University Planning and Analysis’s “Fast Facts” section. What are the male to female and multi-cultural statistics of the students at NC State? The most current information about the diversity of NC State can be found at the University’s Diversity website. To apply for parking permits, log into MyPack Portal and click on “Parking Permit”. It is located in the Student Self Service under the Enrollment menu. You can also access parking permit information from the Transportation website.